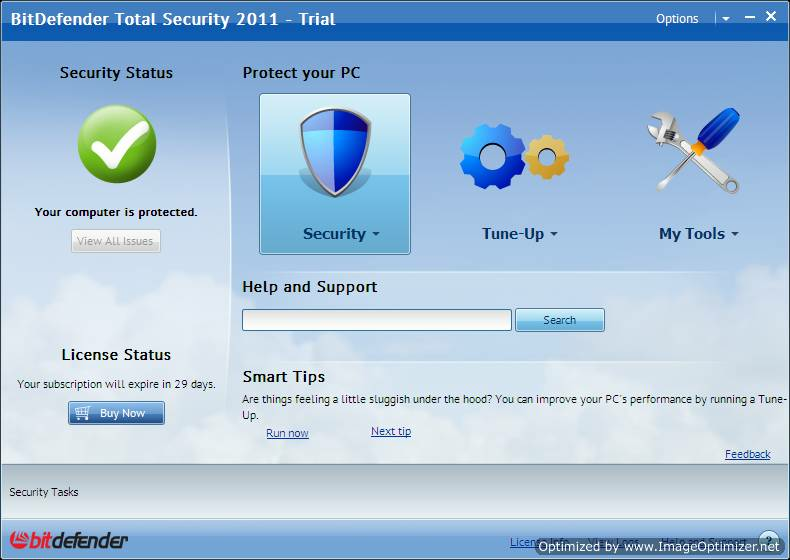 This Review plus Giveaway of Bitdefender Total security 2011 is first in series of Avinashtech Birthday Celebrations i.e. ABC-1 thanks to our forum member Mike and Leticia from Bitmoms. 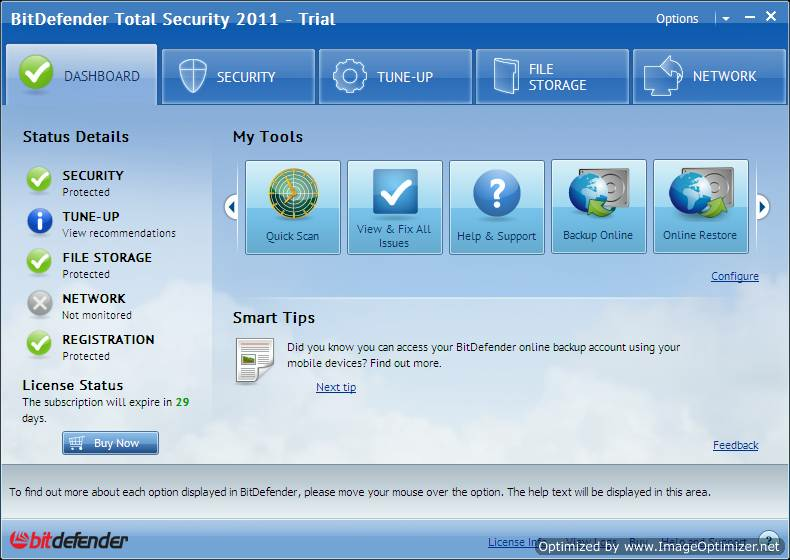 BitDefender Total Security 2011 provides comprehensive proactive protection against all Internet security threats, along with system maintenance and backup, without slowing down your PCs. Optimize your system by identifying the applications that slow you down. Then, using Tune Up make the recommended corrective actions to improve the speed of your PC. Match the interface to your level of comfort by selecting between Basic, Intermediate, or Expert settingsâ€”and quickly create shortcuts to frequently used controls. Establish a two-way firewall with just a few clicks, to continuously monitor your Internet connections and prevent unauthorized accessâ€”even over a Wi-Fi network. With parental controls you’ll receive reports, by browser, email, or cell phone, on recent online activity for each child’s computer in your home network. I downloaded the web installer from BitDefender as I could not find a offline installer. The web installer downloaded the setup and the install started. During the install, it started a scan of active processes and system files. During the install it did found one root kit or something similar. It wanted a restart to clean it up. I was not able to locate what rootkit it detected as it got cleaned after the reboot on own. After this the installed completed along with a update after the install. The initial GUI was so simple with just four big icons as shown below. The I found, its the basic view and I can change the view to two other views namely Intermediate and advanced. This basic view is great for nebie and Average guys as they do not want too much options to even look at it as they cant use it perfectly. The intermediate view is a bit more technical than basic view. It is divided into Dashboard, Security, tuneup, File storage and Network. Each tab divides different options based on the category giving you clear cut view of what options can be inside any particular Tab. e.g the Security tab shows options like on demand scan, vulnerability scan, parental control, configure firewall and much more. 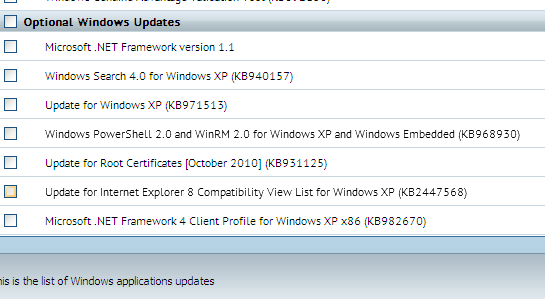 On running the vulnerability scan, it gave me a list of missing updates for windows operating system. When you click next to this list, the required updates if selected can be downloaded on its own. When you click next, it also shows you list of applications which are up to date or not. Good to have that if you are worried about latest version of different applications. 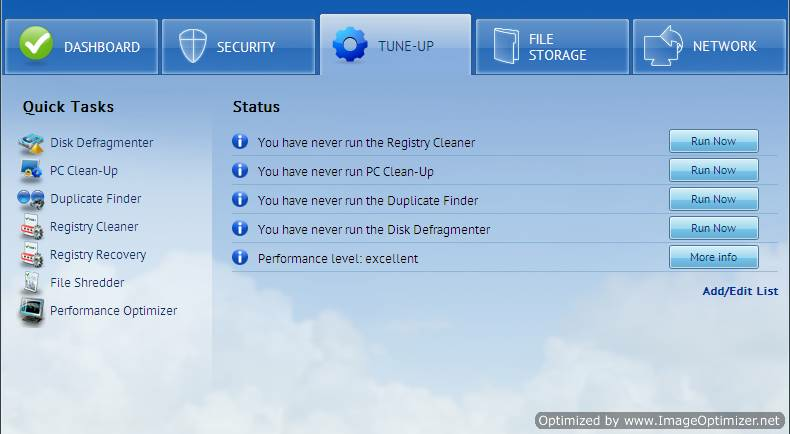 It also got a tab for tuneup with various options like Disk defragmentor, PC Cleanup, Duplicate finder, registry cleaner, registry recovery, file shredder and Performance optimiser. Almost each option that you have here is that you can have almost like single application for each of those options. It almost replaces many tuneup applications for you. For those of you who consider themselves to be advanced user, you can use the “Advance View” of the product which gives you almost every option you can hunt for in a security product or a tuneup utility. You can change whatever want and the options are simple to understand for everyone. The categorization is done quite well and you need not hunt through each tab to find the right option for you. Just to give a small example on, what you can view in advanced view look at the “System Info” tab. It will show you almost everything that’s going 0n your system great detail forÂ each process or application. You can just expand any of these and get more detailed view. I tested it on my desktop with Core2Duo processor with just 1 GB RAM. Still I didnt found any memory problem and system was running fine. I wont talk about the detection rate here. The reason is I cant test it on my own as it needs a large number of malware/virus samples plus much better way to analyze those results. For the time being, we can rely on AV comparatives results. The anti-phishing addon for Mozilla was having some problems perhaps as sometime it was working but sometimes the Addon button was grey i.e. was disabled. I couldn’t figure out why. Also, I experienced a bit of drop in my internet browsing speed after I installed it. I am not sure why it happened, may be because the browsing URLs were checked for anti-phishing etc. I am still not sure though. Disclosure:– The codes were provided courtesy ofÂ BitDefender. Each Forum member’s name will entered THRICE in the Draw and Each Non-Forum member’s name will be entered TWICE in the Draw. 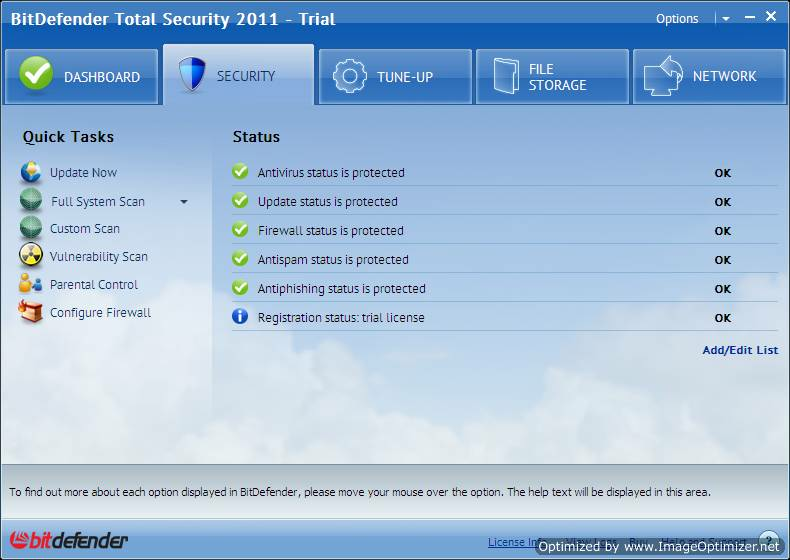 On the forum, we already got a thread discussing about Bitdefender Total Security 2011 and giveaway. Have a look at it. The draw will take place if more guys are interested than the number of licenses. The giveaway is opened for next 72 hours. I think you did an excellent review of BitDefender Total security 2011 Avinash and would also like to thank Leticia for her donation of these licenses for this Birthday Celebration. Congratulations on your 2 years and hopefully many more. Congrats Avinastech completes 2 years successfully. Thanks for this giveaway.Bitdefender is one of the best security product i have ever used.Hope i win a free key. And “HAPPY 2ND BIRTHDAY” to AVINASHTECH. I’m WhitemouseAV in Raymond.cc where you are on, hope have a chance to have a best soft of Bitdefender. Hope I can win This Giveaway of Bitdefender Product.. I like Bitdefender but I don’t have full license to use the Internet Security version. Please, Count me in Avinashtech. Happy Birthday!Review is good and BD is making good software.Anti-phishing addon for firefox is working good for me,always(that’s my user experience).I don’t need license.Cheers! Really great offer, good review, i’ve used Bitdefender many times, and it did’nt let me down, got no issues using, hpe to win one license,happy 2nd year… thanks alot…..
great offer, I’d like to have this wonderful security suite very much. O, fortune, turn your face toward me. thank you. Thanks for this giveaway… and … Happy 2nd birthday. Congrats and happy 2nd Birthday Celebrations! Thanks for this great giveaway and review. Please count me in. 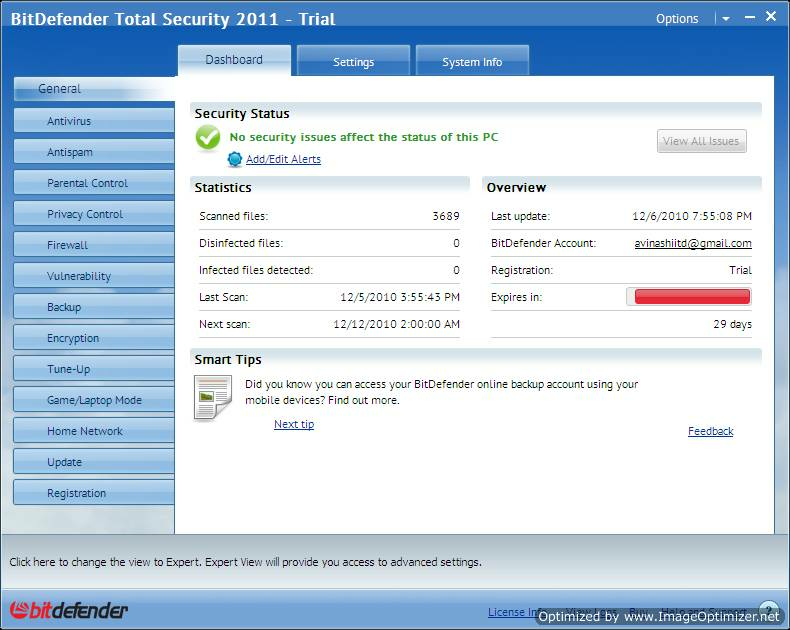 Definitely, bitdefender is one of the top notch security vendor out there. the malware scanning,cleaning and blocking feature is exceptionaly well known. The firewall has much improved this year(according to Matousec report), yet remain silent and smart. Normal user will easily get to do with this security suite.However, the registry control and cookies control tend to be noisy once switched on and hence both are turned off by default. Another great feature is the intrusion detection system where it’s really sensitive and powerful when turn on to critical.Update frequency is excellent(almost once an hour).great.hope to win this, thanks. You’re giving away awesome thanks…..
Having an up to date security package is key to being safe while online. BitDefender is a very good option because it is anti-spyware, anti-virus, firewall and other utilities all in one easy-to-use package. I work for bitdefender but I have no problem personally recommending it. If anyone needs any assistance with BitDefender, please feel free to drop me a line.